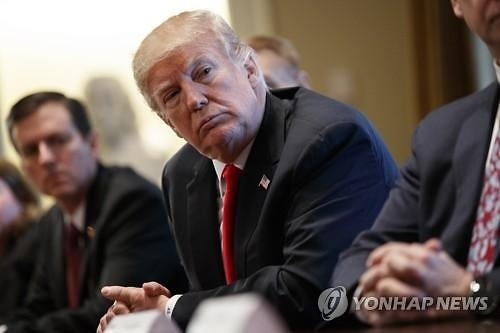 WASHINGTON -- U.S. President Donald Trump said he believes North Korea is sincere about talking with the U.S. because of sanctions that were imposed on the regime. Trump appeared to be taking credit for his administration's "maximum pressure" campaign, which has led to increased economic sanctions on Pyongyang over its nuclear weapons and ballistic missile programs. He was speaking after the North Koreans offered to discuss their nuclear weapons program with the U.S.
"I think that they are sincere, but I think they're sincere because of the sanctions with respect to North Korea, including the great help we've been given by China," Trump said in a joint news conference with Swedish Prime Minister Stefan Lofven at the White House. "The sanctions have been very strong and very biting. We don't want that to happen, so we're hoping they're sincere. We'll find out." South Korean President Moon Jae-in's chief national security adviser, Chung Eui-yong, returned from a trip to Pyongyang earlier in the day and reported on his Monday meeting with North Korean leader Kim Jong-un. 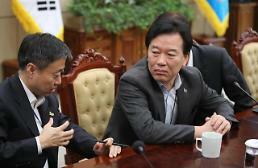 Chung said Kim expressed his willingness to abandon his nuclear pursuit in return for a security guarantee. 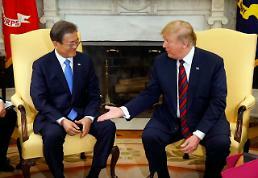 The reclusive leader also told Chung he is willing to hold "candid" denuclearization talks with the U.S. and would stop all provocations, including nuclear and ballistic missile tests, while talks are under way. The two Koreas agreed to hold a summit next month. Trump initially tweeted his reaction, saying "possible progress" was being made in talks with North Korea. "For the first time in many years, a serious effort is being made by all parties concerned," he tweeted. "The World is watching and waiting! May be false hope, but the U.S. is ready to go hard in either direction!" Prior to that, Trump tweeted, "We will see what happens!" and linked a news report about the Koreans' meeting. The U.S. president has said he would hold talks with the North Koreans only if they agree to denuclearize. On Saturday he also said he would not rule out direct talks with Kim, whom he has mocked as "Little Rocket Man."